View our online interactive web page Thirty-five years ago, the community of central Brooklyn saw a steep decline in quality Read more. 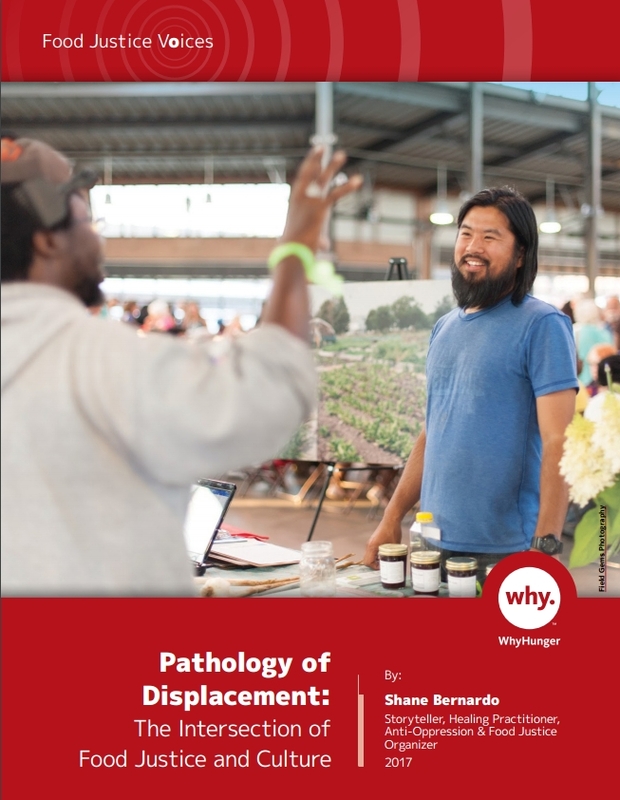 In new Food Justice Voices issue Pathology of Displacement: The Intersection of Food Justice and Culture, storyteller, healing practitioner and Read more. In Food Justice Voices “A Farmer Like Me: Exploring Hunger, Race and Farming in America,” farm and food justice activist Read more. Michael Brown, an unarmed Black teenager, was shot and killed on Aug. 9, 2014 by Darren Wilson, a white Read more. Food Justice Coordinator Kathia Ramirez shares her perspective on the journey of immigrant farmworkers pursuing the American dream and shares Read more. Rural family farmers and migrant farmworkers are at the front lines of the climate, fossil fuel, fracking, water and land Read more. Agroecology | Poverty | Migration & Landlessness At the U.S.-Mexico border, surveillance cameras and military check-points are part of everyday Read more. Leaders from three dynamic grassroots organizations, convened in Detroit to initiate a conversation and develop action around collective leadership by Read more. A firsthand account of community-led groups and individuals in the Sonoran desert borderlands who are building dignity through struggle from Read more. Social Justice for Lunch explores the work of the Delta Fresh Foods Initiative (DFFI) to transform the food system in Read more. Explore a compilation of drawings, poems, photos and short stories that elevates the voices of youth food justice activists, as Read more. La organización WhyHunger está orgullosa de lanzar su primera publicación de agroecología, “Poner la Soberanía Alimentaria en Práctica.”Agroecología es un Read more. A publicação não é um guia técnico de agroecologia, mas uma ferramenta para compartilhar o conhecimento e as perspectivas de Read more. The Special Report: America’s Food Banks Say Charity Won’t End Hunger and new video made in collaboration with WhyHunger and… Read more. We’re sharing our stories, tools and learning from this four-year project, Building Community Power for Food Justice. We hope you Read more. Just in time for International Women’s Day, WhyHunger released its newest publication “Through Her Eyes: The Struggle for Food Sovereignty.” Read more. The 61st session of the Commission on the Status of Women (CSW61), took place at the United Nations Headquarters in Read more. In a new report, Janet Poppendieck, activist, author, professor emerita at Hunter College and WhyHunger Board Member, reflects on her Read more. 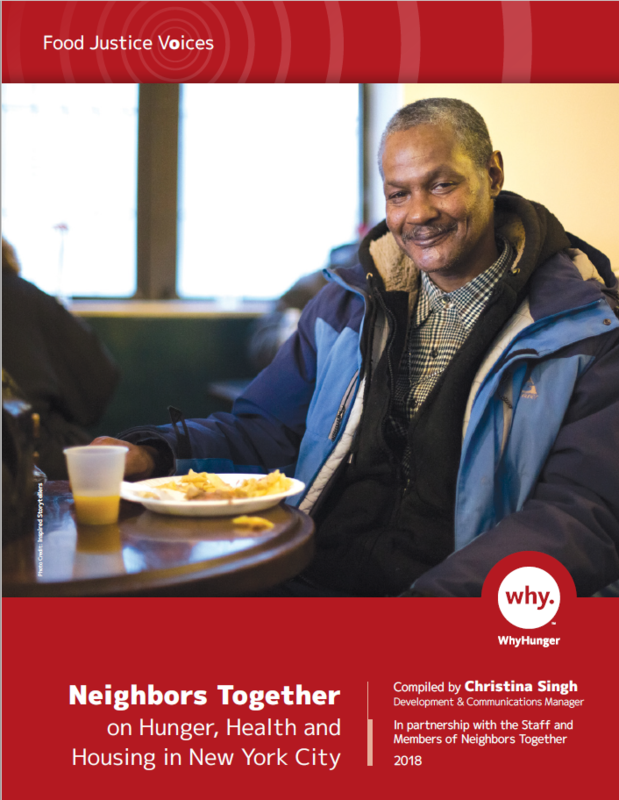 In this publication, you will find stories of three organizations that address hunger, poverty and illness through nutrition, equity, dignity Read more. This guide profiles four emergency food providers who are organizing in their communities around the root causes of hunger and Read more. This guide gathers resources and information about innovative nutrition education programming by organizations around the country. These models can serve Read more. D’Artagnan Scorza, Nikki Henderson, and La Mikia Castillo offer analysis and strong recommendations for creating lasting change within food desert Read more. This report reflects on WhyHunger’s achievements and impacts as we continue to build a broad-based social movement with our grassroots Read more.